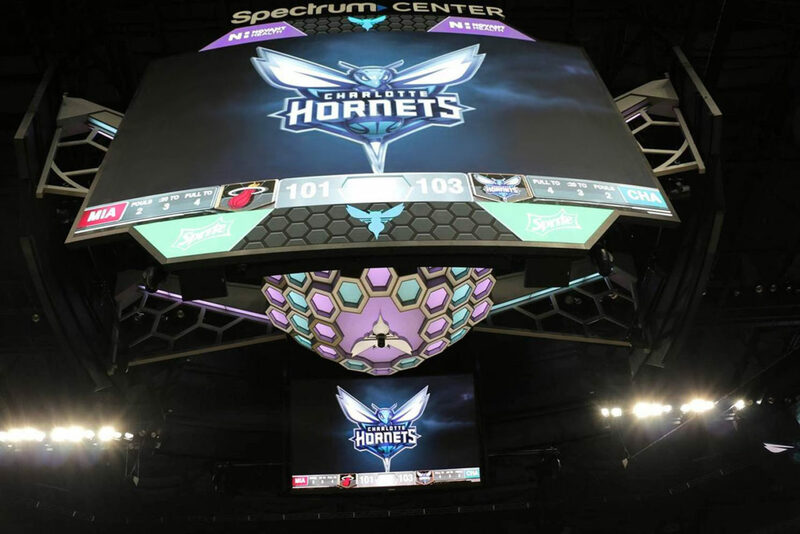 Product Categories: Hoist, LED Display Systems, Scoring, Integrated Digital and Static Signage. 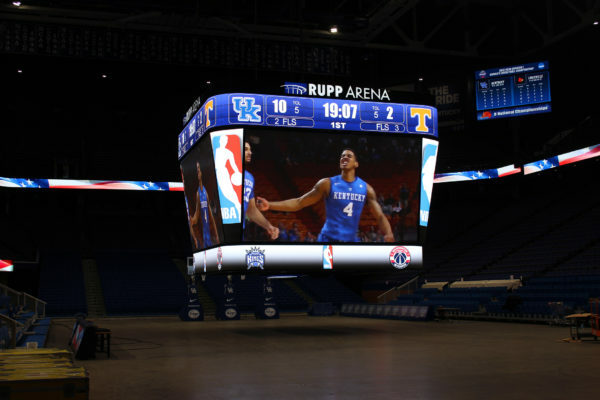 Rupp Arena unveiled a giant video display and booming sound system as part of a $15 million tech upgrade Sunday. 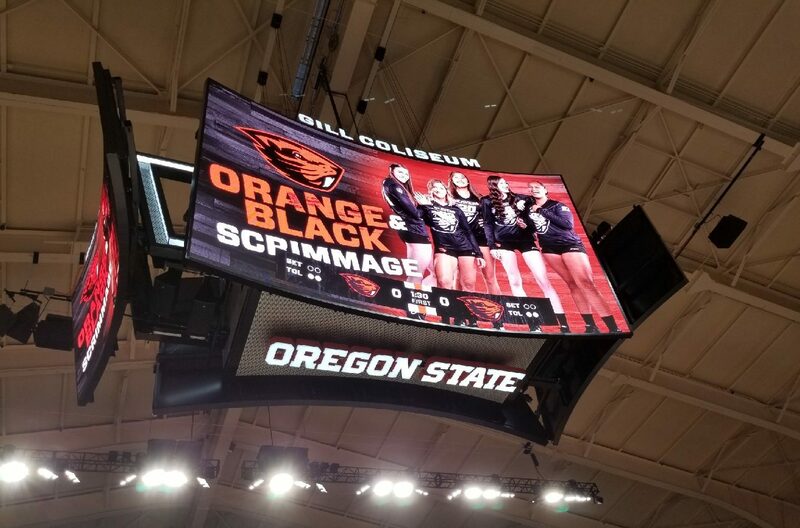 The upgrades were five years in the making and include a [Anthony James Partners designed] Daktronics center-hung video array, an L-Acoustic sound system, and energy efficient LED fixtures for basketball events. 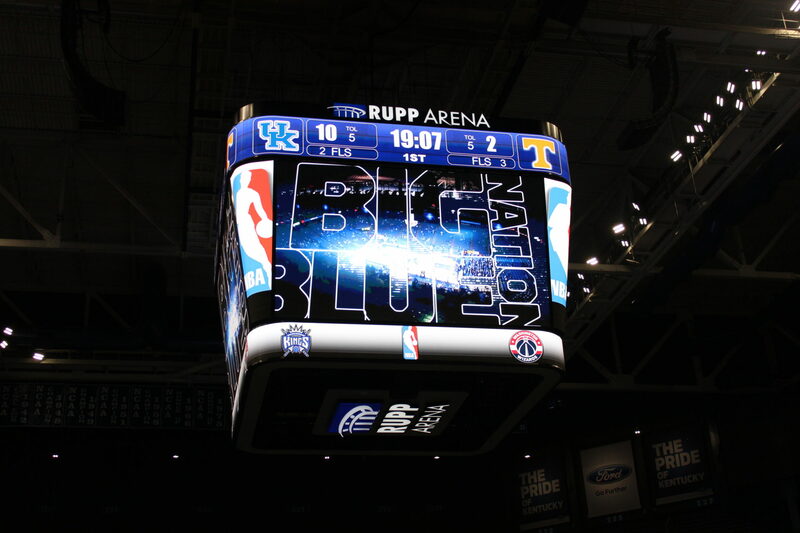 Rupp Arena also threw a coat of blue paint on the HVAC ducts and structural support towers which were once red. These changes coincide with Rupp Arena’s 40 year anniversary. The upgrades were unveiled by Bill Owen, CEO and president of the Lexington Center, who acknowledged the technicians and architects who had to work 14 hour days, seven days a week at heights reaching 110 feet. Kentucky basketball fans will get a look at the improvements at Friday’s Big Blue Madness event. 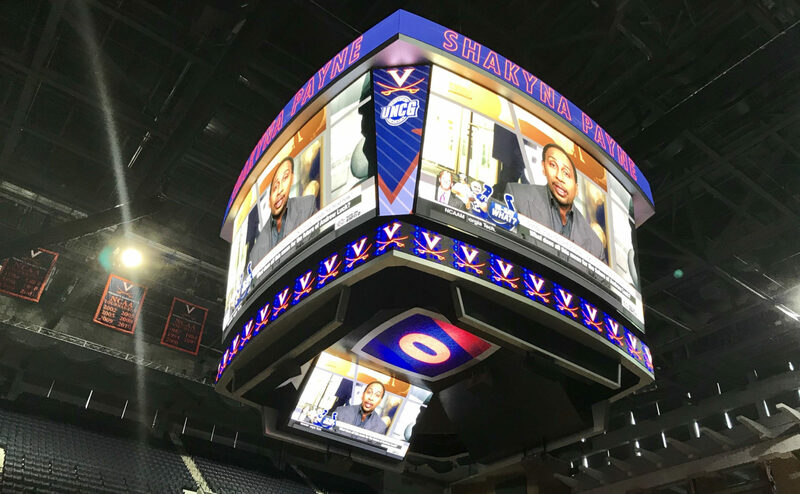 The installation work began on Sept. 12, the day after the Ringling Bros. and Barnum & Bailey’s wrapped up its latest visit, said Bob Stoops, Rupp’s technical services manager who has worked for the arena for 38 years. In terms of the audio, Stoops went with the French company L-Acoustic because of its superior sound. 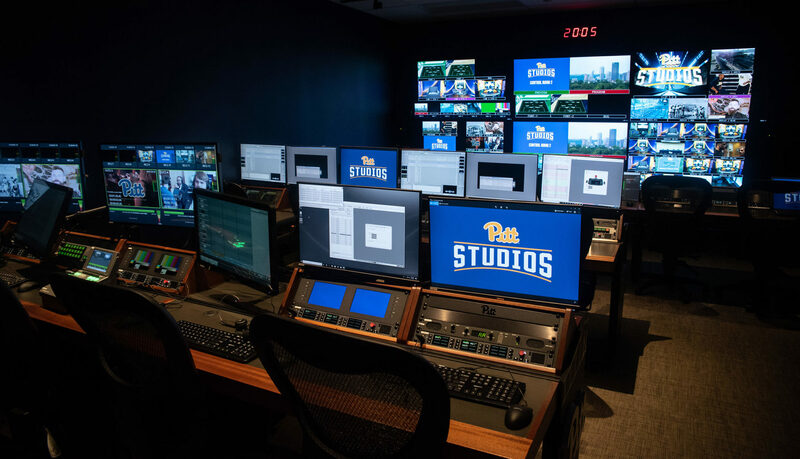 The University of Phoenix Stadium, home to the NFL’s Arizona Cardinals, and the Toyota Center, home to the NBA’s Houston Rockets, also use equipment from the same company. 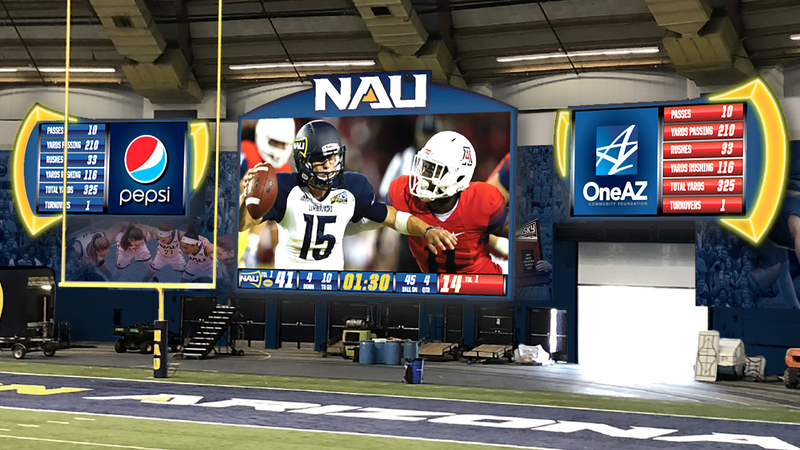 A team of six people assembled the center video board from Daktronics. The company is based in Brookings, S.D. 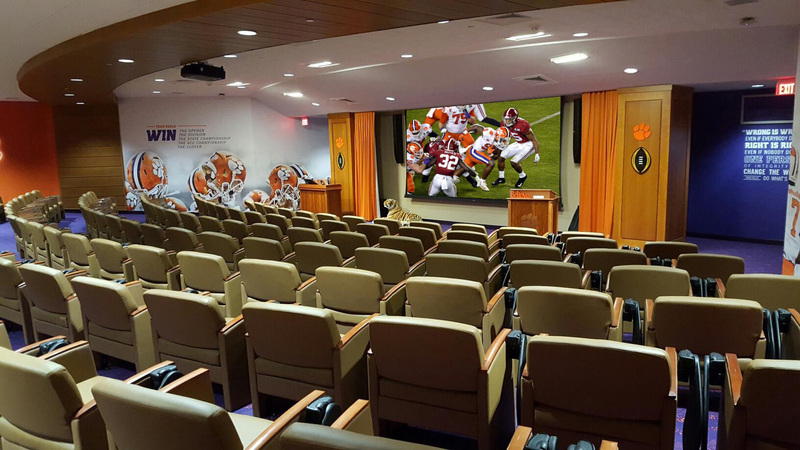 The installation of all the new tech was completed Friday evening, Stoops said. 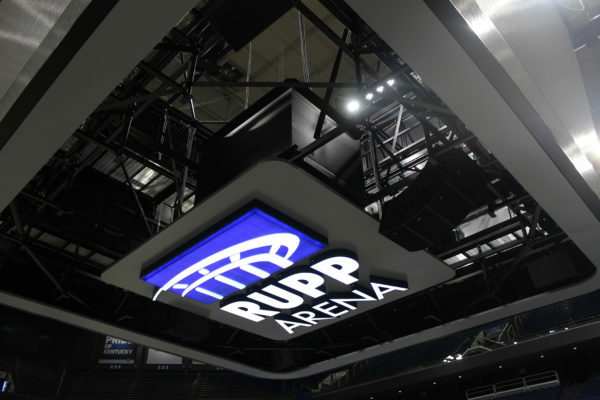 Rupp Arena will also have Wi-Fi available to visitors in the spring of 2017. 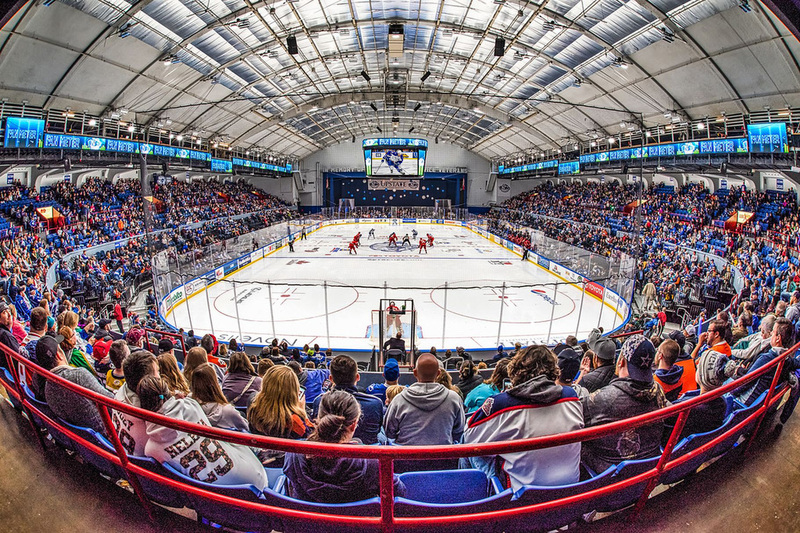 Rupp Arena financed the upgrades through the Kentucky League of Cities’ bond development program.